The much famous gaming brand of Sony, PlayStation, has evolved over the years. It is now also available on both Android and iOS devices. Which means, you can use PlayStation app on your smartphone to control your PlayStation 4. For those who face difficulty controlling the PS4, this is the solution for you. The application has made controlling PS4 easy. You can also use this app to use your smartphone as a remote and keyboard for typing without a PS4 remote. Many games use the functionality of the PlayStation app for different features. We will show you how you can control your PS4 with your smartphone. Install official Sony PlayStation app on your smartphone. You can install the application on your preferred Apple or Android device including iPads and Android tablets. After installation of the app on your device, you will need to login to your PSN (PlayStation Network) account. Note: Make sure that your device is connected to the same network as PS4. 1: To connect the application to your PS4, tap on Connect to PS4 icon and then tap on Second Screen button. You will see your PS4 listed on the second screen. If you don’t see your PS4 you will get the message “You must connect to a Wi-Fi network to use this feature”. : After setting up your mobile device navigate to PS4 Settings > PlayStation App Connection Settings > Add Device on your PS4. 3: You will get a code to register your device with PS4. Enter the same on your smartphone to connect it. 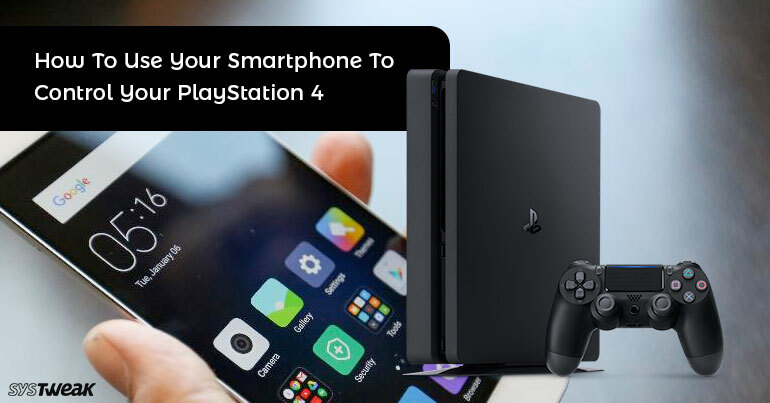 Now, your device will be connected to PS4 and it will be listed on your smartphone. Note: You can view your connected device by navigation to PS4 Settings > PlayStation App Connection Settings screen. You can also remove any connected device if you like from this screen. After connecting your smartphone to PS4 you can use your device as a remote for PS4. To use your smartphone as remote for PS4, tap on Second Screen button on center of the PS4 application. On the next screen, you will see your PS4 listed, and below that you will again see Second Screen button tap on that. Note: On this screen, you will see power button which puts the PS4 in rest mode. The top of the screen will have 4 buttons. First one is the second screen button which can be used if supported by game. Second allows you to navigate through PS4 menu’s. It also shows maps of the games on your PS4. The third one opens the keyboard layout on the mobile screen. Last button allows the user to view comments from spectators during online broadcasting. Note: The message you see in the first screenshot is because not all games support second screen feature. This application contains many other features. These features are for PlayStation network and therefore can work without internet connection. Some of the features include Friends, What’s New, live game streams, notifications and messages on the main screen. On the top left corner you will find PlayStation store button, which will take you to store where you can purchase games and other features. If users wish to view their Profile, Trophies, Redeem Codes, Settings or Sign Out from the application, they can reach them by clicking on the icon present on the top right corner of the application. For the other features such as new game listing, PlayStation Blog, Videos tap on Explore. Sony’s application has handy features, which you can use without connecting to PS4. This application can be utilized to communicate with PS4 and other Sony services.